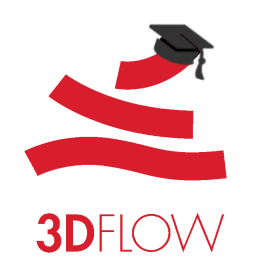 Join the 1st 3Dflow webinar! On Monday, April 8th, 2019, you can join our fist webinar! By reserving a seat for the symbolic price of 9.99$, you will be able to watch the online webinar via GotoMeeting using your computer, smartphone or tablet. This is a beginner level webinar, which will cover the basics of the 3DF Zephyr Workflow with a short introduction to photography acquisiton techniques. You will be able to interact with our staff during the webinar via chat to ask questions, with a final 30 minutes Q&A session. Please note that there are a maximum of 20 seats that can be purchased online. » Click here to reserve your seat now!